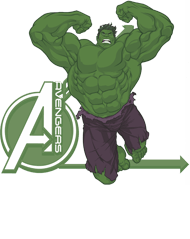 Hulk With Avenger Logo half sleeve T-Shirt, available in different colors, softest, smoothest, ..
Hulk Logo half sleeve T-Shirt, available in different colors, softest, smoothest, good looking regul..
Hulk Smash half sleeve T-Shirt, available in different colors, softest, smoothest, good looking regu..
Hulk The Big Guy half sleeve T-Shirt, available in different colors, softest, smoothest, good l..
Hulk Action half sleeve T-Shirt, available in different colors, softest, smoothest, good lookin..
Hulk is an American superhero film based on the fictional Marvel Comics character of the same name. Neevov has attained licensing and merchandising for selling Marvel Comics character or superheroes t-shirts. Whether you are looking for lightweight, active casual wear for boys so come at Neevov.com. Neevov offers a lot of versatile designs casual wear look for boys & kids in India. If your boy's upcoming special events are so go to choose Hulk t-shirts India for your boys to make this moment so special. Hulk t-shirts are a unique choice for boys & kids what they like most to wear for regular and casual comfort fit. Neevov brings the latest designs with an amazing look to make it an easy choice for your boys & kids. 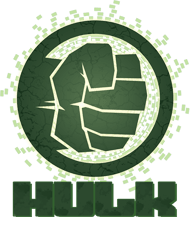 Hulk t-shirts online are very comfortable for every season. Hulk t-shirts are available with a wide range of collection for regular comfort fit in each condition. 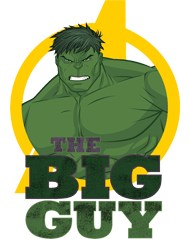 Hulk t-shirts are the Incredible choice for boys & kids. Hulk t-shirt looks so nice with the different combination such as jeans, trousers that give an amazing look. Most of the inclined customer would like to recommend Hulk t-shirts for boys. The print of Hulk t-shirt is of high quality and long lasting that never goes to fade. Hulk t-shirts are sweated absorb-able during the summer season to makes you more comfortable and relax. Our choice of boy’s attire incorporates a wide series of Hulk t-shirts. We offer an extensive choice of Hulk t-shirts that are ideal for getting a suitable collection for their wardrobe. 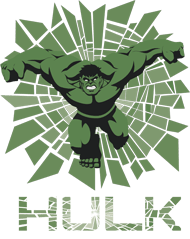 Hulk t-shirts include agreeable and breathable styles extraordinary for games participants, school and for some easygoing occasions. Marvel official merchandise other collections are Iron Man t shirts and captain America t shirts half sleeve style. You can also wear another t-shirt and any other traditional shirt over a t-shirt for funny moods, loving and happy look. 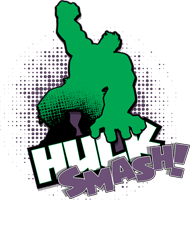 Once you have picked out your Hulk t-shirt choice for your little guy what you find a gorgeous outfit for their personality what suits their skin colour. Some choices are not good if you don’t consider your personality outfit. You can also have many amazing coloured, durable shorts to make a better choice with Hulk t-shirts for your boys & kids. Boys will be very much comfortable with Hulk t-shirts while playing sports and engage in outdoor activities. 100% Combed Cotton, Single jersey, High Durability, Well side stitched for perfect fitting, Regular comfort fit, Bio-washed.